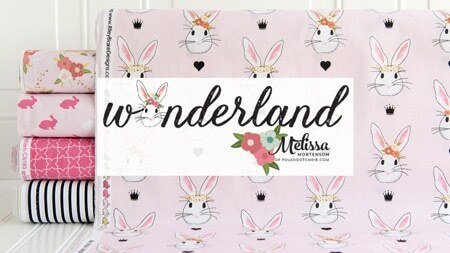 You are here: Home / Home / Cute & Clever Sewing Room Organization Ideas & HomeGoods Giveaway! 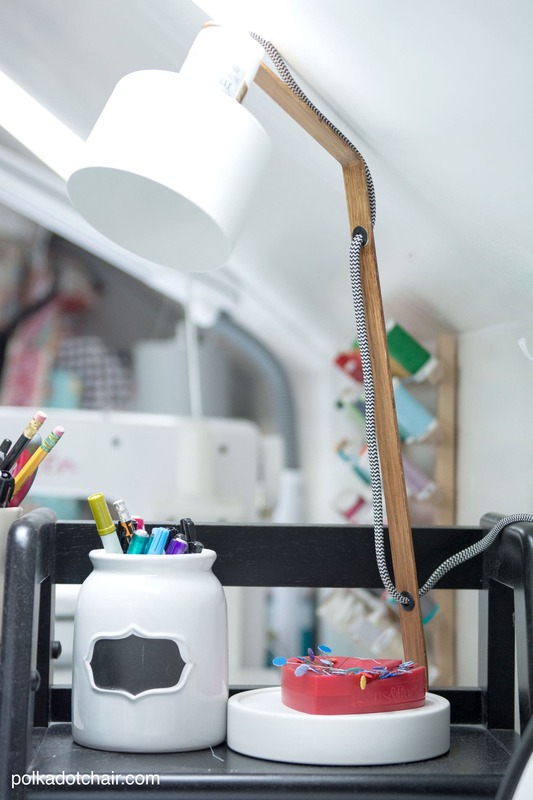 Today I’m very excited to share with you the reveal of my new sewing and crafting space! It’s a project that has been 3 years in the making and I’m so glad to say that it is now done (or at least as “done” as it will ever get)! 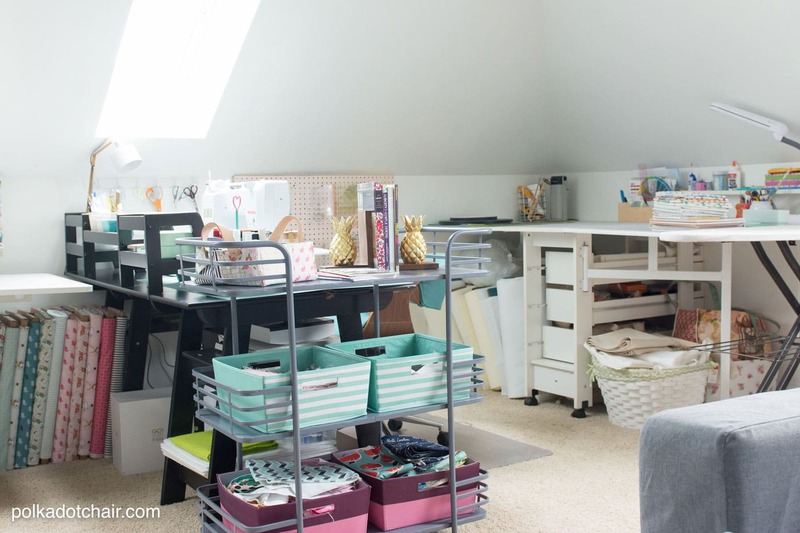 I’ll let you in on some of the sewing room organization ideas that I picked up while planning the space redo, and chat a bit about how to make your own spaces more personal and enjoyable. Last week I shared with you some of the process that we have gone through to renovate and organize my creative space. Today I’m going to share with you more “after” photos, along with some tips that I picked up while putting my space together. Just a reminder, this is what the space looked like before. This photo is from the day we looked at the house, but before we moved in. After we moved in we used the room as a playroom. It served us well for many years, but the kids quickly outgrew the need for a place for toys and the room essentially turned into a storage room. 2 years ago we cleaned out the toys (put some away to keep, and gave others away) and began the process of converting it to my creative space. We had to move ALL of my stuff up 2 flights of stairs, which was not an easy process when you consider how much fabric and paper that I have. I was previously sewing in a room in our basement that was really nice, but a bit small. As my business grew, I outgrew my space. Since I had begun to work more hours, I also wanted a space that would be large enough that the kids or my husband could come and work or “hang out” with me while I was in there, the other room was too small for anything like that. 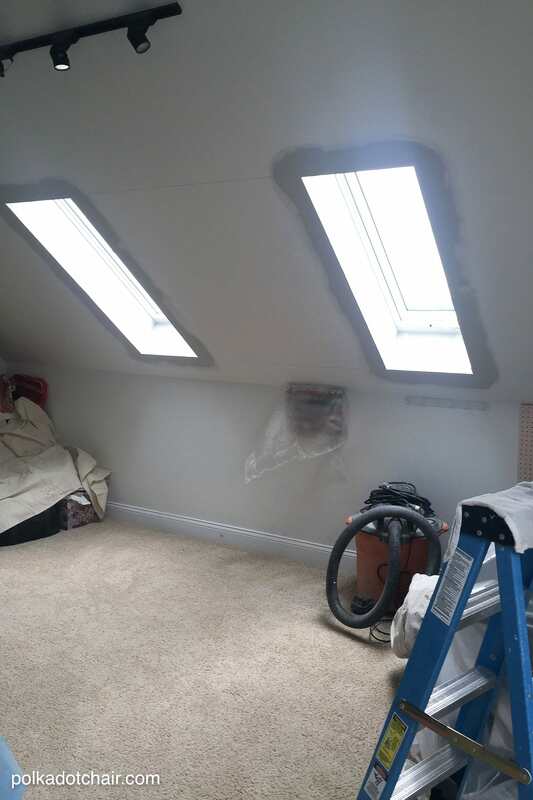 Phase 1 was to clean up the space and paint it, and phase 2 was completed last summer with the addition of skylights to the room (you can read more about that here). In June of last year the skylights were completed, the room was painted and all of my stuff was moved in. (I still want hardwood floors in there, but am pretty sure that is not going to happen anytime soon). The space was now light and bright, but lacking proper organization and charm. These photos were taken shortly after the construction was finished, I know you may be thinking that all it needed was a good cleaning but it needed a bit more than that. It was always messy and almost too “big” as there were too many places for me to just throw stuff. I decided that my biggest problem with organization was what to do with work in progress (WIP’s), I frequently have to move from one project to another, and rarely take the time to clean up after each project. 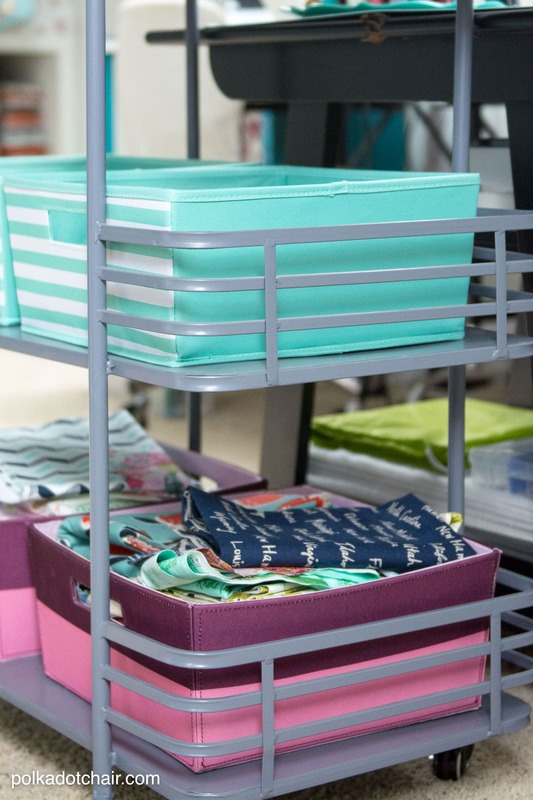 Recently we found ourselves at HomeGoods and I decided it was time to tackle the organization of my sewing room. I not only wanted to get a few things to organize the space, I also wanted to pick up a few “fun” and unexpected things to dress up the space a bit. 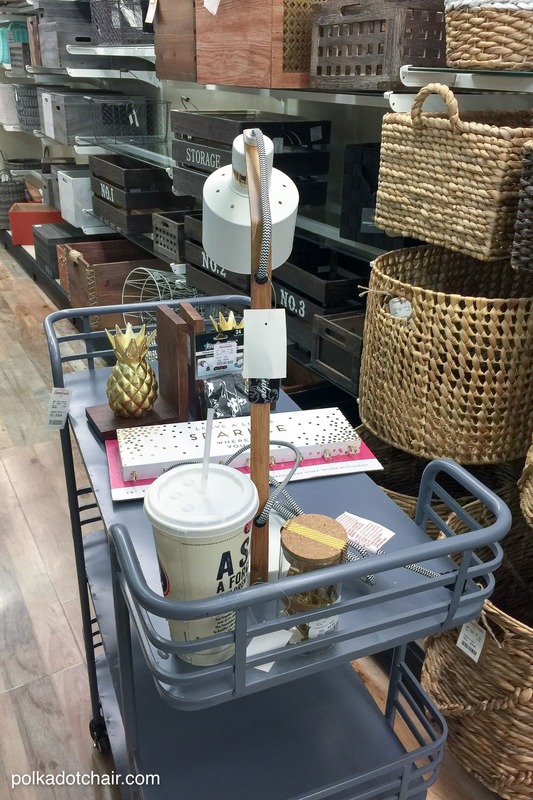 We always love to go to HomeGoods, it’s the perfect place to spend an evening wandering the aisles. I love that every time I go there is a new selection of stuff, and I’m not likely to find the same thing twice. It’s almost like a mini “treasure” hunt to see what I can find buried in the aisles of the store. While on this particular shopping trip, I spied a really cool gray cart. It was large and had wheels and seemed like the perfect thing to store some of my WIP’s. I started pushing it around the store and adding things to it. 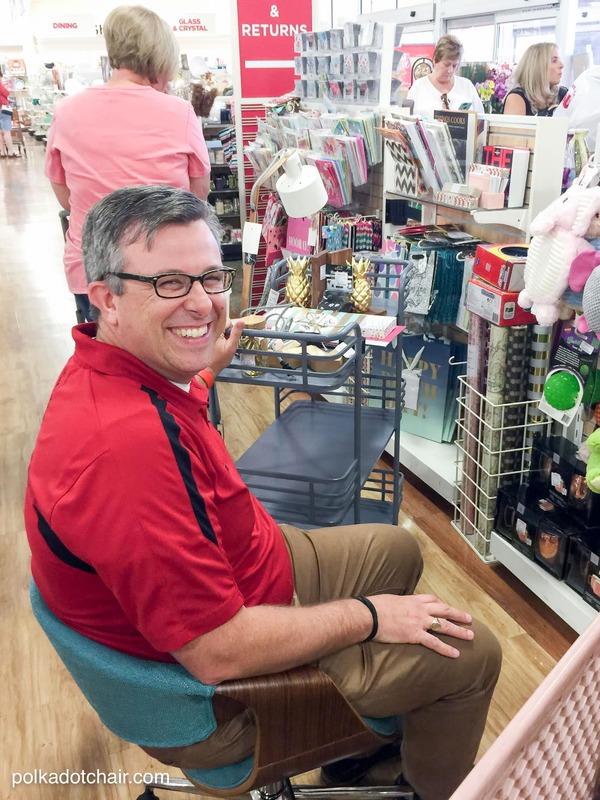 My husband feeling a bit “bored” with me after my fourth trip down the basket aisle, sat in a chair that he found sitting in the store. I came back from the basket department and he said “you should get this chair, it’s really comfy”. The chair that I’ve been using with my sewing table is at least 23 years old, (actually it’s probably even older than that). We bought it after we were first married. There was a used furniture sale at the University we were attending, and we bought the chair there. It was $5 and bright orange. It was the first piece of furniture we ever purchased. I made slip cover for it and it followed us around for years. When I saw the gorgeous teal chair my husband found I realized it was time to “upgrade” my chair, 23 years was long enough. Plus he was right it is really comfy. He sat in that chair all the way up to the checkout line. I got home and spent the rest of the weekend organizing and cleaning, and I love how the room turned out. I’ve got a place to put my WIP, new chair and better lighting solutions. Here you can see a few more shots of the room. The storage cart sits next to my sewing table and I use the baskets to organize WIPs. I also added a few fun accessories to the top of the cart. Each basket holds a different project. I can pull the baskets off of the cart take them to my sewing table and work, then put them back on the cart. 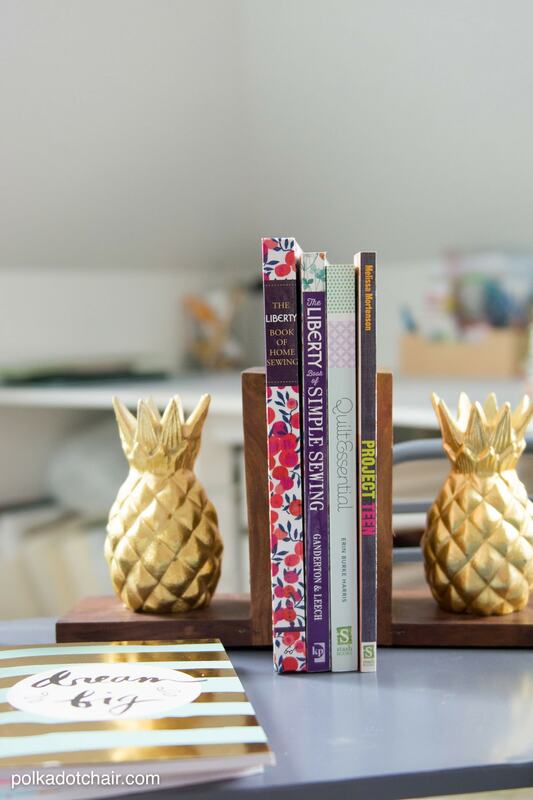 The bookends on the top of the cart are also the perfect space to store books or patterns that I need to refer to on a regular basis. I’m ecstatic with how the room turned out. It’s pretty close to my dream space now. It took about 2 years and a lot of work to get it the way that I wanted it but I’m so glad it’s done now. Now: off to tackle the guest bedroom and office (that might take another 2 years). What room in your home is in need of a makeover? Tell me in the comments for a chance to win a $100 Visa gift card! Our game room is a disaster, lack of organization and children that aren’t conscious of their mess has made the room almost impossible to work out in. My sewing room is the second. It becomes a dumping ground for all the things we don’t know what to do with and needs to be de-cluttered and organized better. Beautiful space! 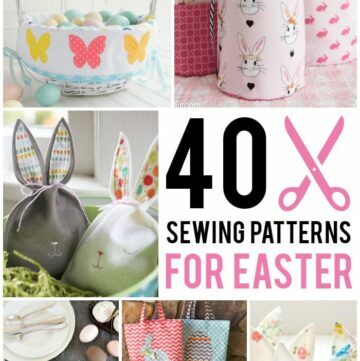 Great inspiration for my sewing room. It needs alot of work – and several trips to Home Goods! 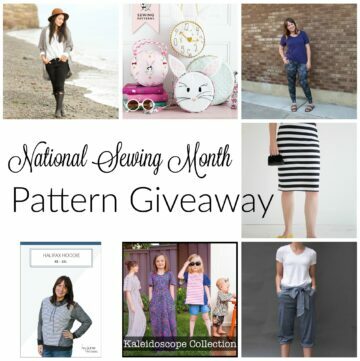 I would love to win and makeover my sewing room!!! Our bedroom definitely needs a little bit of love! I really need to work on a space for my grandkids when they come over to spend the night. They have bunkbeds, I just need to make it feel more like their own space. Homegoods could be my rescue!! This would be awesome for my new sewing area! My bedroom needs a makeover. It’s basically a studio apartment. It needs to be more organized so that it is functional as a sewing space and is cozy as a bedroom. Your room looks so beautiful! I want to redo my living room. I am saving up money right now to get new furniture, rug lamps, and I want to paint the walls. It really needs to be spruced up! The kitchen is definitely in need of a makeover.. we need more space, different windows, a place to put the fridge and microwave. Love your room! I need some good storage and organization for a craft room. My master bedroom is in very very sore shape! I love your redo!!! My living room needs a makeover. It could use more color. My master bathroom really needs a makeover. My poor bathroom could use a makeover. My dated kitchen is crying for a makeover. We have been remodeling our whole home so each room is in need! I think my living room could use some help! I need a living room makeover. Great job on your sewing space! My sewing room needs a major makeover. I would love some help. We are slowly, ever so slowly redoing the whole house, but the rooms that need the most attention at the moment are the master bedroom and my office. My “kids” rooms…..the youngest is still home, just out of college and has a move out goal of Dec. First!, happy dance , don’t get me wrong I do love them but am sooooo excited to have hubby and me time! We have never just been the two of us as we married young, colleges and internships overlapped or communting?? ?I have big plans for 2017, thank you for your beautiful blog, I love catching up with you while sipping my coffeee! Pretty much every room in my house is in need of a makeover! But right now I’m working on reorganizing my creative space. It’s used for sewing, crafting, gift wrapping, exercise, and mostly escape. It’s in progress, but needs some inspiration. I love your sewing room. 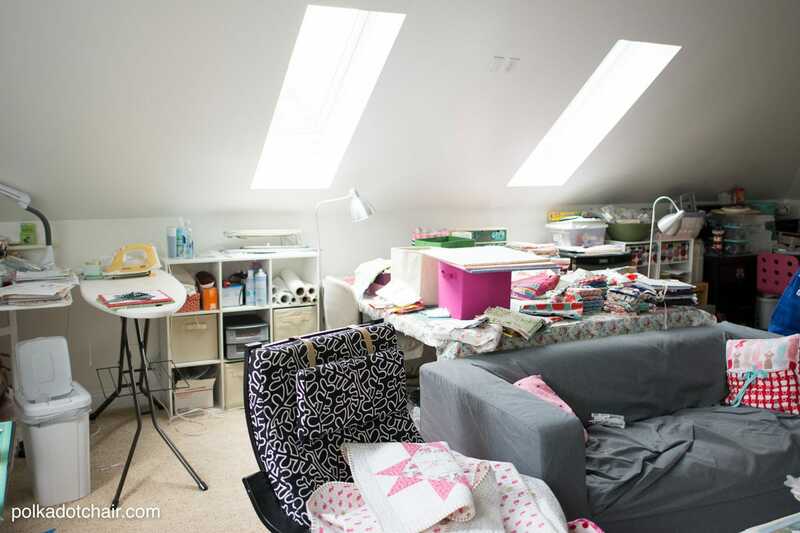 What a sewing room you have! It is so organized and large! My sewing machine is in our bedroom, all other items and supplies in a guest room. I really need some help to organize crafting, sewing in the same room!! I am moving my windowless craftroom to an empty bedroom at the beginning of the year. I would LOVE to shop at Homegoods for this new project! Love your new space! I am currently needing ideas for my sewing room and office. May need to combine part of office with sewing or cutting space. Would love to have a redo of those 2 areas and also a bathroom. Thanks for considering me! My husband recently helped me to redo my craft room and, even though our big bathroom needs help badly, I think I would like to return the favor and help him to get his tool /work room in order. 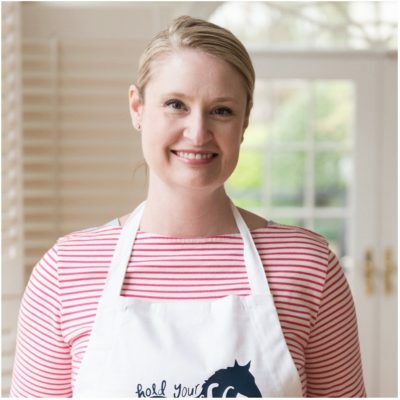 Thanks for all the inspiration from your makeover and thanks for the chance to win! My sewing room definitely needs reorganization. I love to shop at Home Goods! I love what you’ve done to your sewing room! Mine desperately needs a makeover! I think I need a separate house for all my stuff! Faux Guest Room which is really my computer area (with equipment and supplies), also holds my ebay inventory stash, a sewing & machine embroidery area AND hubby’s closet! Tubs stacked on top of one another, baskets filled with stuff, a wooden cabinet filled with quilting supplies and a horizontal filing cabinet with genealogical paperwork. Claustrophobic! I loved how you lightened the room up with a change in color and the added windows brought in all that light. I would kill for something like that to craft and do projects in. This type of room will be a must in the house we are planning to build, thank you for the great ideas. Home Goods will be opening soon near me and I can’t wait. I need to re-organize my sewing room with places for all my supplies and extra fabric. I like the idea of baskets and rolling carts. 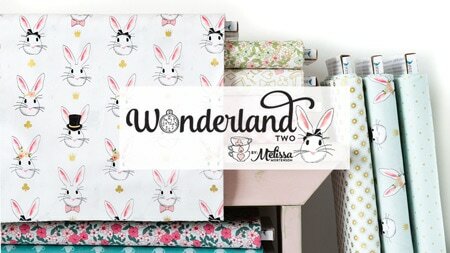 Anything would make my sewing more successful and fun! Our bedroom really needs a makeover. We moved in last year and due to some devastating medical bills, have not had any money to make a difference in that room. It is boring, sad and depressing and I would love to be able to make it a sanctuary instead of a dungeon. You did such a great job organizing. The cart is my favorite! My “extra” bedroom needs to be changed from dumping ground to grandkids room. 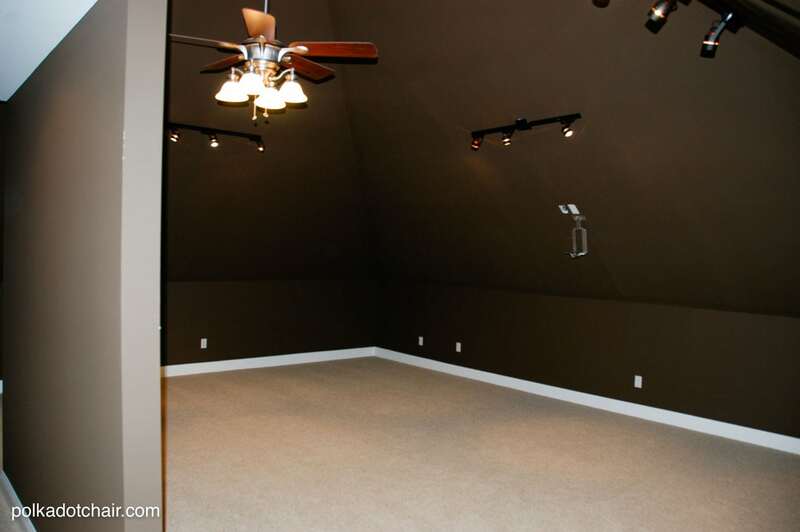 Definitely the spare bedroom with the catch-all closet. Fun giveaway. thanks! My sewing room could use a makeover. 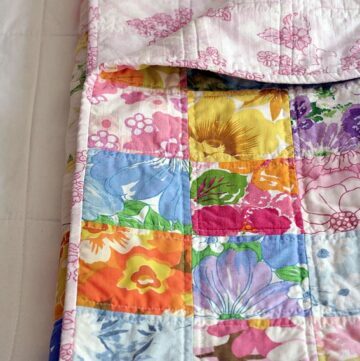 Really enjoy your quilts and sewing ideas! Now, as to organization things …Oh my, where to start! Our Living Room and our Master Bedroom closet are in serious need of organization! I love what you’ve done! My craft “room” is really a craft wall in my bedroom as we live in an apartment. My bedroom needs an overhaul for sure! Thanks for the tips and ideas! Laundry room! Its stuck in the kitchen. My master bedroom! 4 years in my house and I still don’t have any bedroom furniture and there is a big hole in the wall from the previous owners. My room needs help! My sewing room definitely is in need of a makeover!! There is a total lack of organization especially the fabric storage. I’m trying to figure out what the best way is to organize it . Of course continuing to purchase fabric probably isn’t helping! I love how your room turned out, and the tips you gave are helpful. that sewing chair is amazing! Total Room Envy here! Thanks for sharing! Love your new room and your chair! I definitely need a new chair in y sewing room! Thanks for having a giveaway! My sewing room is also a guest bedroom. I would love to organize the room to accommodate its two uses while making it a pleasing environment. In a few weeks I’ll actually be moving my sewing/craft room out of a tiny bedroom into the large family room so I can work and still be with the kiddos. Better storage and organization is a must because I won’t be able to close the door on my mess anymore, not to mention the need to keep little hands out. I love seeing before and after sewing rooms! My husband and I are adding an addition to our house and part of it will be my new sewing room! I am beyond excited and more than ready to wave “bye-bye” to the dining room table! Thanks for the inspiration! I also stored folded fabrics in cubicles in an area without direct light and with interior shutters on the windows. A few years later, I was shocked to find that ambient light had faded the exposed fold of many of the fabrics. Now my fabrics are stored in plastic cartons in an interior hallway. The damage has stopped. Love that cart! My master closet is in desperate need of a makeover. Hi Melissa. 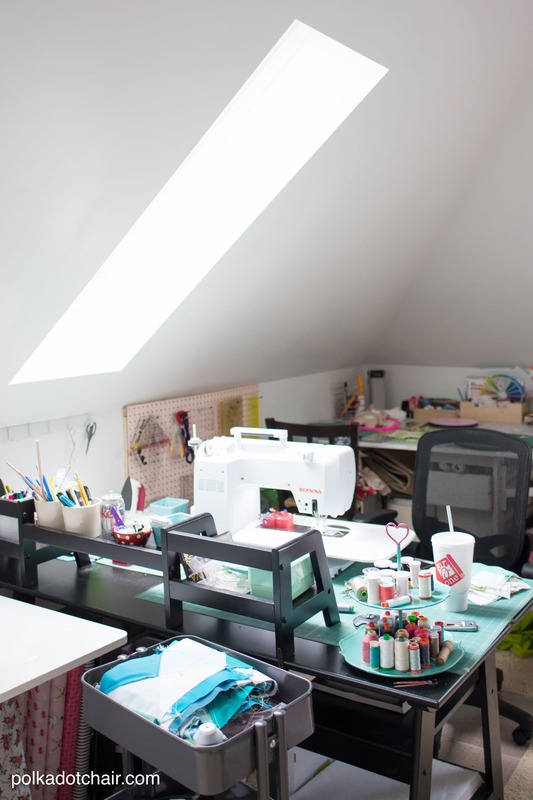 I’m so jealous of your sewing space. You did a beautiful job of changing the space to fit your needs. My sewing room is a very small bedroom previously occupied by my son. I’m trying to figure out how to store and control my passion for fabric. Thanks for sharing your ideas. My spare bedroom needs a makeover. Home Goods just opened a store in our area last month. I am anxious to visit it now. My entry to the house and hall closet need a makeover or at least organization ideas. Love your new room! I’m trying to figure out how to rearrange and reorganize my sewing/quilting/craft room. I have my Handiquilter 16 (original stand up) for sale and trying to make room for a larger quilting machine. Quite the challenge. Some new storage solutions would help tremendously. Our sun room makeover turned it into my sewing room, but I let my son think it’s his room for homework! It’s cute to sit in and read in the comfy chair, and the table holds all I need for sewing. The stash I’m currently working with is kept in the closet (the rest is in boxes in the attic!). Everything works! Your new chair is amazing! What room in my house needs some love, it’s a toss up between my laundry closet, notice I didn’t say room, and my half bath on the main floor, it is soooo white and boring. Oh….where do i begin? Can i say every room! 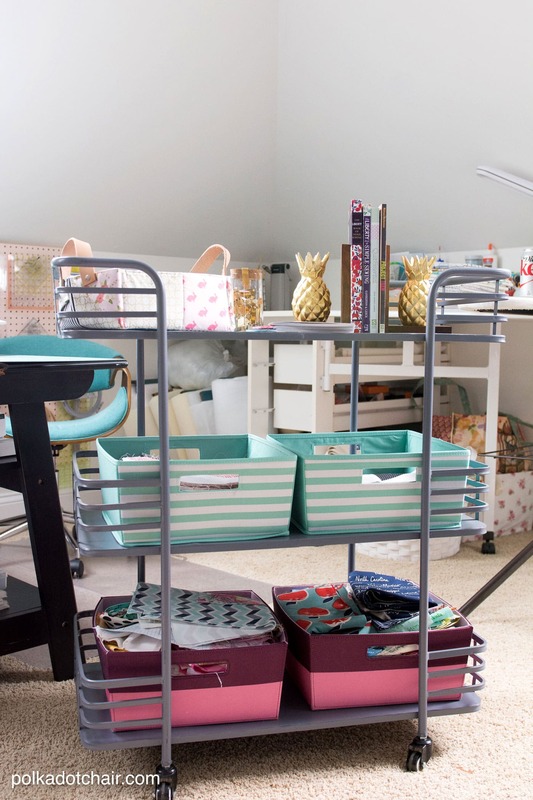 LOL…if i have to pick one…my office….too much clutter and i simply need to organize better….LOVE LOVE LOVE your new cart and as you and i know….HOMEGOODS is amazing! Love going there but don’t get there often enough…Love your posts always! My craftroom needs help! Unlike you…I don’t know where to begin or what to do first! My dining room needs some help. It’s where I have my sewing machine and quilts ready to be quilted. It ends up being a catch all for all sorts of WIP. We moved five months ago. The public parts of the house look pretty good. I have wonderful new space to sew, but I need help organizing all my stuff! There have been projects to get finished and I have been getting things done but stuff is all over the place with no plan for putting anything away. My kitchen needs a makeover. Love your sewing room. I especially love that chair! My sewing room could ALWAYS use some more organization! Our home office is in need of a makeover. Nice sewing room makeover! We live in an old house, completely remodeled by us. But after almost 30 years we are starting over again! Our tiny guest room needs a makeover. Wallpaper removed, and freshening up! I could use a makeover and that gray cart in my stamping area. I love your sewing room! I would love to do a makeover of mine, with some shelves for fabric and a great storage cart! Thanks for the chance to win! “made” 2 days a week,so that’s 5 days of cute pillows on the floor,constant pillow fluffing. Pre 1994 my bedroom was so girlie, worthy of a photo layout.Now its so so.I told my husband I purchased a hamper from Home Goods that was on sale for 89.99,he yelled a little,okay he yelled A LOT,So my come back line was Well since your socks didnt like the 19.99 model I figured they might like this one. He’s getting better at using the 19.99 model,OK at least they’re landing in front of the hamper. When we moved into our house there was a small “hobby” room for the kids. Now that they are off to college I’m using it as a sewing room. But it is very small and needs to be reorganized. It’s a toss up between my sewing room and my master bedroom. Both rooms I spend a lot of time in, but don’t have time to organize them the way I want . I would love to have some extra storage to help me coral my favorite things. I could use a makeover in my dining room. The rug is old and tattered and the room needs a paint job. My bedroom is in need of a stripping of my peeling wallpaper and he woodwork needs a painting. My living room is in need of a new rug and the window frame is rotten and needs to be replaced. I would love to add some storage items to my craft room. The wire shelves I have now are coming apart, and I’m afraid that the whole unit is going to come crashing down!!! Let’s hope that that doesn’t happen!! Love your room!! Especially the tea cart! Where did you find that? My living room needs updating..
My sewing room-as yours did-needs a Major makeover! After raising 4 children & being a homemaker for over 40 years, I’m finally doing a few things that were put on the back burner. My husband recently built me a cabinet for my sewing machine & I have a cabinet for some fabrics & stuff, but, I sure need more organizational pieces. Thanks for showing your redone space. I know you feel better & can accomplish more having things organized. I need to fix a room up for sewing room . Right now I have everything in my bedroom . My husband passed away this past January . I had to move in my son’s house . But we bought a shed for the things he had in the sun room and he is going to enclose the sun room for me. Will take a lot of time and expense but it will be worth it .I need to purchase some cabinets and would like to have a pegboard for my rulers . 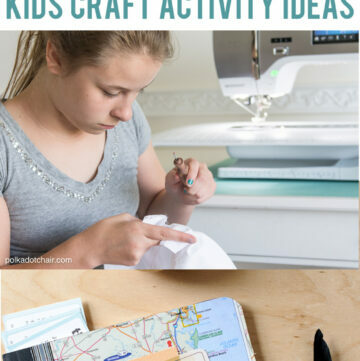 Thank you very much for the chance to just express what I would like to do to my sewing room as the son just doesn’t understand my desire to have 2 to 3 machines and all that fabric . What a great makeover for your sewing room! 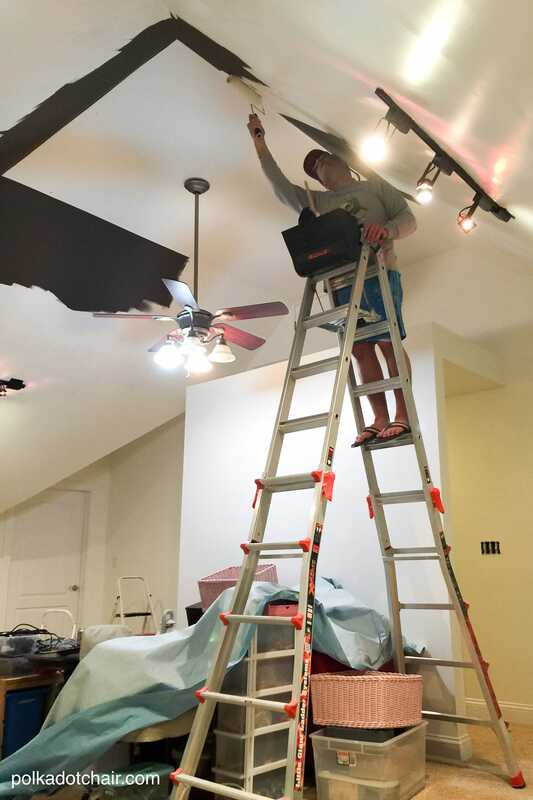 The skylights, rolling cart and teal chair are perfect….so jealous! Our master bathroom is in dire need of a makeover. After 20 years, it is hurting and almost an embarrassment. I dread the thought of having it be an unusable area while it’s remodeled, but it must be done! I saw this cart and did’nt get it. Rats !! Now I am even more upset after seeing your idea. I love what you got!! I’m looking for a more comfortable chair and love the color! My guest bedroom/craft room/sewing room could really use some help! My bedroom could use a makeover – it’s disorganized and drab! My bathroom is outdated and in need of a makeover. I so want to update our guest room and also the living room. My bedroom definitely needs a makeover. It needs better storage, less clutter, paint and new bedding. Your room looks fantastic! I think my sewing/guest room needs a makeover most. We rarely have guests, but do want to keep the extra bed for those few times a year we do, which means I don’t quite have a full room. But I’m lucky to have a fairly dedicated space most of the year. My family room could use some re-organizing–More book storage would be great! My family room definitely needs a makeover! I would love to add some color, jazz up the walls with some artwork and add a fun rug. I love the pic if your hubby in that gorgeous blue chair! My new ikea sewing area lacks organization and a place for my kids to hang out. Love your new space! Just finished painting the guest bedroom but it needs the finishing touches. Thanks for the chance of a gift card. Both our master bedroom and our family room can use makeovers. I love Homegoods. They have such great finds. Thanks so much. Our office/guest room is in great need for a makeover. It is in an oddly shaped but super fun room and we haven’t found the right pieces to make good use of it yet. My kitchen is in need of help. We moved in last year and I want to paint the cabinets and add new counter tops. Plus I need more organization in it. I love your sewing room, especially your new cart. My living room is desperate for a makeover…..really bad! My guest/sewing/craft/toy room could use any and all help it can get. My project is to try to organize and sort this out before spring gets here. I could use any and all help I can get with organization ideas and products. Thanks for the opportunity to win this gift card. My bathroom needs a makeover! Would love for it to be organized more. Love your sewing room! If I won, I would make over our family room. Our finished basement really needs a redo-it’s so disorganized! My sewing room is in dire need of a make over! I have been stressing about organizing it. I love your ideas. I would love to makeover our living room first! My office needs a makeover. I have papers everywhere that need to find a place where I can find them. My master bedroom could use some color! I love your sew room make over! Lovely, nice, and bright now! :) My living room needs a makeover. I love shopping at HomeGoods! Always find things that I love. My craft room really needs an overhaul, love your chair I sit at one of our extra dining room chairs and it is not comfy. would love to add a few organizational items to my craft room. My craft room is the one that needs an overhaul the most. Love your space. Mine has become overwhelmed by paper that seems to come into our home daily. More organization. More creating. Less wasting of my time. Thank you for the inspiration. The gift card might just be the kick in the pants that I need. What a lovely room. That chair your husband found is spectacular. Been working on my sewing/laundry room for a few years. Still more to do but it is a process. The kitchen is in desperate need of a make-over, scratch that, demolition is a better word! I would love to take all of our books out of the bookshelves (yes, we still have a set of World Books!) and use the shelves for family pictures and other eye catching items. That would be the beginning of a family room makeover. I’m lusting after the teal chair, maybe a win would get me one! Nice makeover ideas. I need help getting my Sewing life organized so that I can save time looking for things to actually get some of my projects completed and maybe have a dinner on my dining room table. Right now there are two sewing machines, a new Serger and of course a cutout mat with several cutting devices. I retired recently and now don’t have time to get anything done. I have sewing materials and notions in every other room also. I have fabrics hid in all my closets and rooms except bathrooms. I guess what I really need is a miracle but winning a contest would be nice too. I’m surprised your sewing chair is not a Polka dotted chair. I love the chair, it’s one of my favorite colors. I love your sewing area. I see several useful ideas and can’t wait for the IKEA store to open in Memphis. Our youngest son just turned 16. His bedroom really needs a makeover. Oh what a nice little contest! My office is also my craft area and while I’ve purchased a few things to help, it’s sorely in need of of baskets and maybe a table! My spouse’s office could really use a makeover. Storage, organization, someplace for the dog to hang out, just making it a more pleasant place for him to spend his days. My sewing and craft room used to be our den. I am still trying to get it organized the way that I want it. Unfortunately, every time I get a portion of it done, my husband or son places more of their stuff in the room. It looks like a disaster most of the time since they use it also as there storage space (as if they didn’t have their own spaces in the big shed outside!). The bedroom is in need of a makeover. My son and I are getting ready to make the sun room into my sewing room . Right now my sewing is in my bedroom and is pretty crowded . We got a shed to put the stuff that belongs to my son that is in the sun room . I can’t wait . I would love to makeover my sewing room! Most likely starting with that exact chair. ? What a great space! I especially like the WIPS on the cart. I think I will use my IKEA cart for mine. I would love to makeover my bedroom! It needs some sprucing up! My powder room is in need of a makeover. it is dingy and bland. My bedroom needs the makeover, badly. Has not been updated in ages. Our bedroom really needs an update! 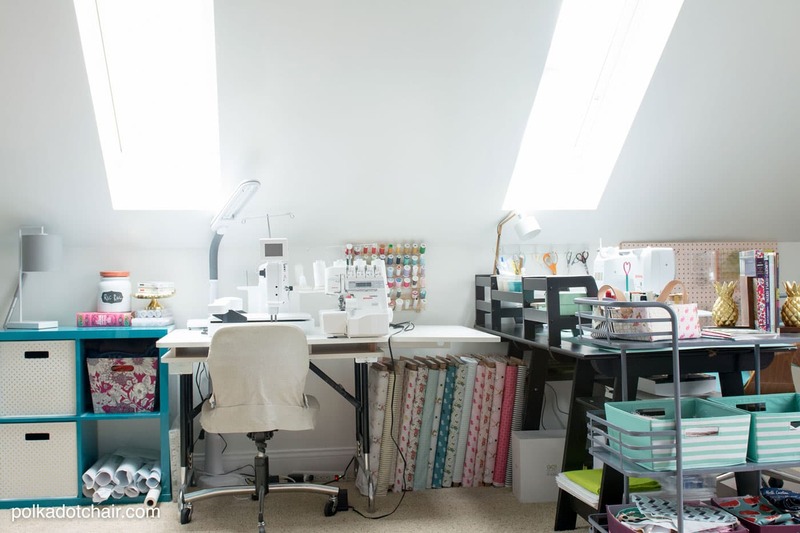 Wow, what an inspiring and lovely sewing space. Our whole living/dining room area needs a makeover. One corner of it is piled up with my sewing and craft stuff, and another corner is piled up with my husband’s records and electronic things he tinkers with… neither of us seem to be able to store things other than in piles on the floor! I love your new chair! My sewing/craft room needs a make over. I took over a bedroom in January, but it is not working since I am constantly moving things around when I want to work on a project. Our bedroom needs an update. My kitchen really needs a makeoover. I love that gray cart !!! I would love to know the manufacturer to see if it is available somewhere. Also fell in love with the chair your husband found – looks so comfy. I spend a lot of time in my sewing/craft room and am constantly rearranging stuff, especially since I’m a novice at quilting. Is there ever a perfect way to store materials? I’m wanting to redecorate my own bedroom. It’s looked the same way for 12 years now. Our living room could really use an update, paint, lighting as well as decorations! I think every room in my house needs a reno but probably my bathroom the most! 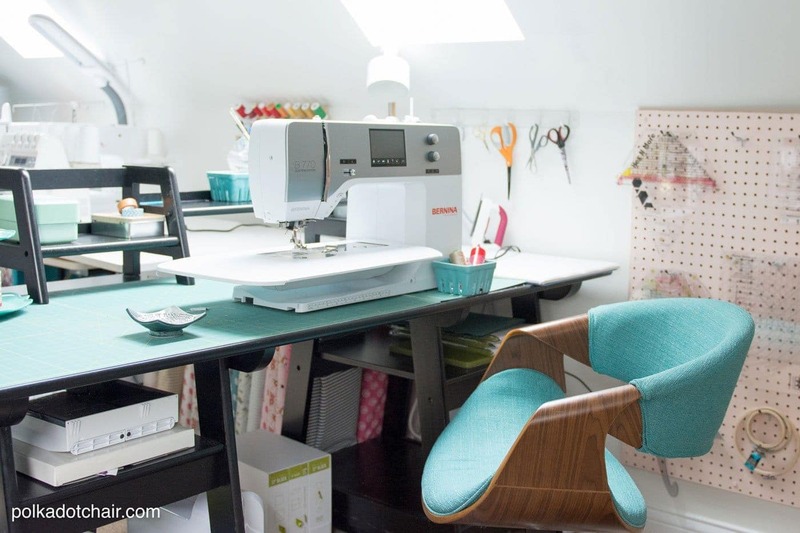 I adore your sewing room! I have a so-called guest room that does have a bed in it (under the boxes) and some shelves. I could organize it and make it pretty I am sure. Every room in my house needs a makeover but at the top of my list is my office area. It’s incredibly disorganized and looks terrible. What room in my house doesn’t need a makeover? I would say the living room more than any of them. I love how your sewing room came out! I need to do my guest room. I didn’t have a need for one for a while so it was just an extra room. BUT now that my fiances daughters use it when they are in town, I’m embarrassed of it. They don’t seem to mind but there is no design to it, just air mattresses and a tv thrown in a room. My sons room sure could use a makeover. My bedroom needs a makeover. I have a room for my crafting now and I would love to make that over. We just did a big lower level remodel, which included our kitchen, family room, half bath and entry way. I would love to shop HomeGoods for those final finishing touches! I would love to makeover my kitchen. The bones are really good, with plain cabinets and a good shape, but I want to paint the cabinets out of the 1980s and get a new Formica countertop. The kitchen is the room in my home that is in most need of a makeover. The sooner the better, the way I live in the kitchen. Wow! What a transformation. My home office could use a similar makeover. It’s at the point that I hate to go in there. LOVE your new room, and especially the new aqua upholstered, mid century modern, with silver legs work chair…. Wow is that gorgeous and looks so comfortable. Great job! I need help in every room, but would love help in converting a dining room into my home office as well. This would surely help as I will be doing it myself! My family room can use a make over. Our kitchen is in need of a makeover! We moved here 8 years ago so I think it’s past time! 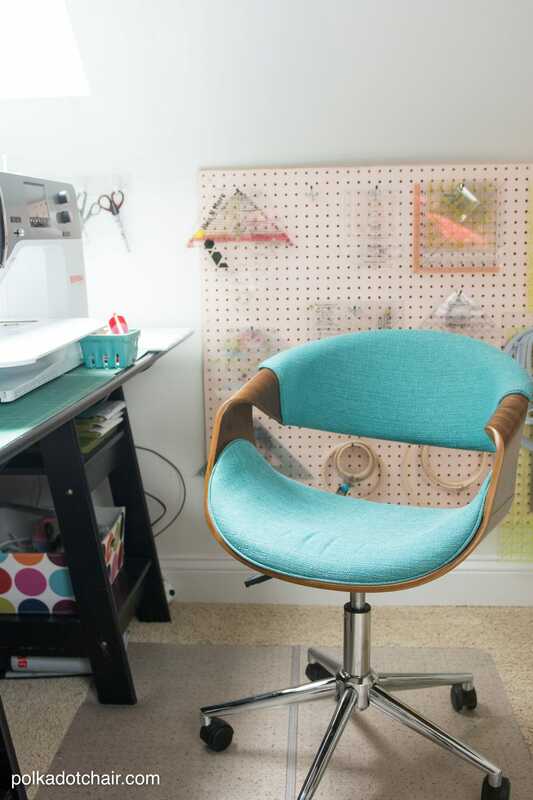 I totally love what you did with your sewing room! I’d love to be able to do that with my bedroom/closet. Most of my rooms could use a little TLC, but I’d start with the bathroom. 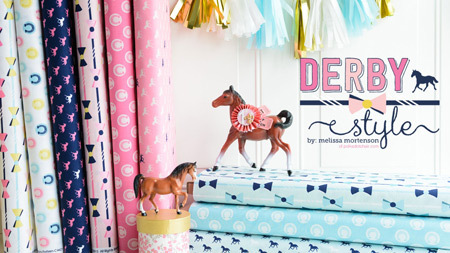 Winning a craft room makeover would be a dream come true! I have had to move my crafts from room to room to accommodate a growing boy. My last move was to the dreaded basement! Please help! The space turned out just gorgeous, thank you for sharing your ideas. I couldn’t help but wonder, the white table with the white chair looks like it has a serger on in and another machine that has my curiosity wondering what it is?! Would you mind sharing? Curiosity killed this cat. Beautiful creative space and great organizing inspo! What kind of desk is that black one and what are those stacked organIzard on top of it? Are they part of it? I’m moving soon and I’m going to be reorganizing my craft room! Any help is appreciated. Thanks! I just want to say that your craft room is amazing. You guys did a fabulous job. It was no doubt a labor of love and necessity. I can only hope that I can get my poop in a scoop so that I can redo our main bathroom. There is so many choices and that is where I get bogged down. I am so glad I signed up for your blog. Thanks for all the inspiration. I love, love, love the storage ideas and need them in my life! 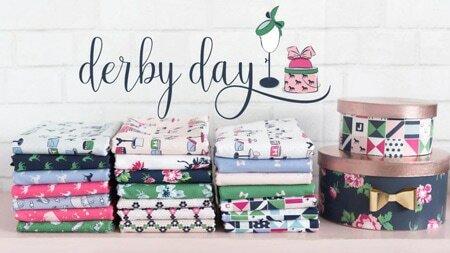 Looking at your post I realized that my (newish) sewing room has lots of your furnishings – it just needs to be ORGANIZED!!! (But I’m not moving… Yet!) My biggest problem? Too many little tools and notions that I don’t want to just throw in a box, never to find again.Now, on to serious business. A husband who happily tours the aisles of stores? Save yourself and hide him in a closet! i am currently working on creating and organizing a craft room so i could seriously use this!!!! I need a makeover for my fabric storage area. Just when I clean it up it becomes a dumping ground, again. I need a sustainable solution so I can find what I need, when I need it. Home Goods, here I come! Love your new room! I need to make over my sewing room. My storage is awful! I love the sky lights! My sewing room could benefit from these storage ideas! My sewing is basicly a blank slate. We have used it for everything from chickens to car parts storage. We have cleaned it up, bought a rug to cover the cement floor, and fixed the lights. It’s time now really organize it and make it ready to me to sew in and I can’t wait. Love some of the ideas in the new craft room. Will be using some of the ideas for my small craft room. Love your makeover, awesome result. I love your sewing room. It took a lot of work and planning I am sure. I have a question, where did you purchase your sewing table? I love the side areas to store projects etc. My home needs a lot of upgrading but finished my sewing room now just need to purchase a sewing table of some sort and my master bedroom needs a lot of upgrading as well. Thanks for the cool ideas! The home we moved into a year ago has a wonderful very large laundry room and since the laundry area is relatively small, the remainder of the room is for my sewing. The space is in desperate need of organization and a purging of items that will never make it to the top of the list of things to use. Your space is very inspiring. Thank you. While my sewing room needs to be organized, my sunroom is in desperate need of attention. Love Home Goods! I chuckled when I saw this as I’m in the process of revamping two rooms right now so I can have more creative space. My old livingroom will now be my sewing room and my old sewing room has become my new livingroom (this was way easier to do!) The new room is definitely a work-in-process. I love Home Goods but we don’t have one terribly close. Trying to find just the right storage items has been, to say the least, a bit difficult. but I’m getting there. After seeing your lovely chair, I’m thinking a field trip to Home Goods is on my list. What is the measurements of your sewing room?